Sharufa Rashied-Walker is the creator/designer behind JINAKI. She has always had an indelible love for fashion and the arts. Watching her mother create clothing planted the seed at a young age. 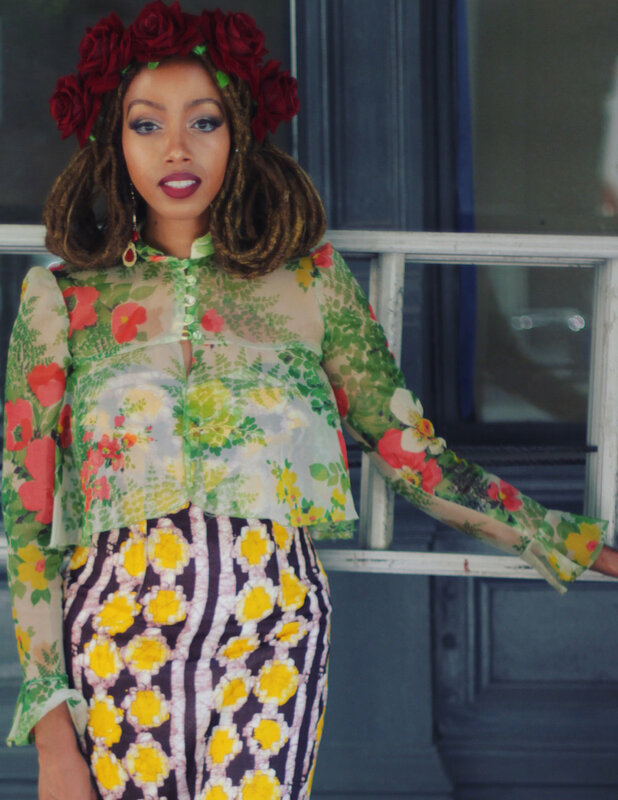 Sharufa made her own alterations to her garments and began styling herself in grade school. Her creativity continued to flourish while attending the School of Arts and Science at Howard University, where she explored fashion design and began to hand sew pieces to her wardrobe. JINAKI was created while Sharufa was living in Nice, France. While there, she studied at the Singer Institute and began making original pieces. Her fabric choices stem from her exploits to Paris, Rome, and Belgium. Sharufa’s design aesthetic ranges from vintage inspired pieces to modern tailored pieces. JINAKI is for a woman who is proud, fearless, and exudes confidence as she faces the world. For the woman who loves color and can feel the vibrations from the designs she wears, JINAKI represents a woman who is daring, feminine, conscious, a dreamer, and lover of all things fashion!